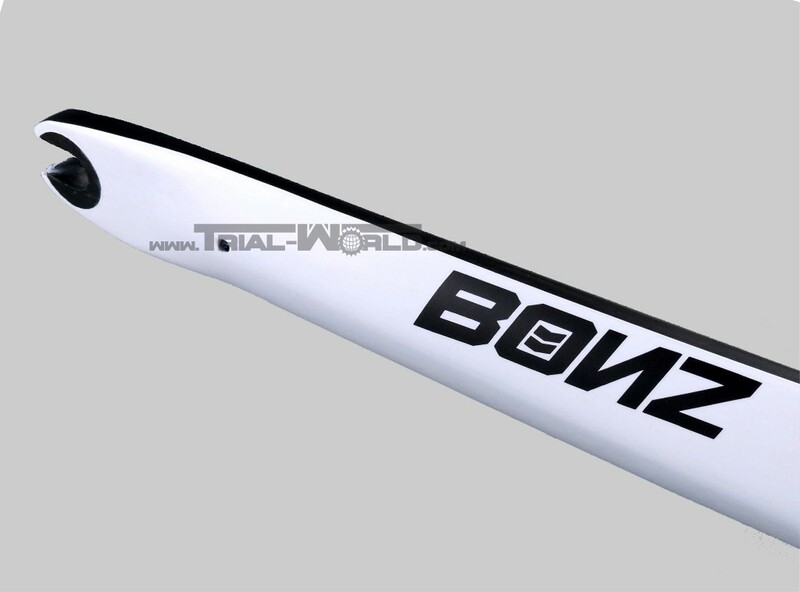 This forks was tested over month by the Ozonys teamriders Dominik Oswald and Theau Cortess. 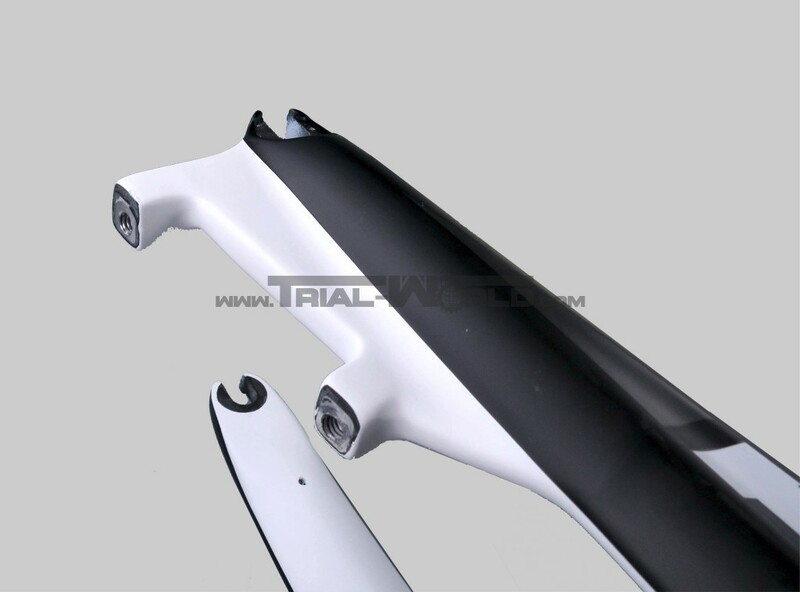 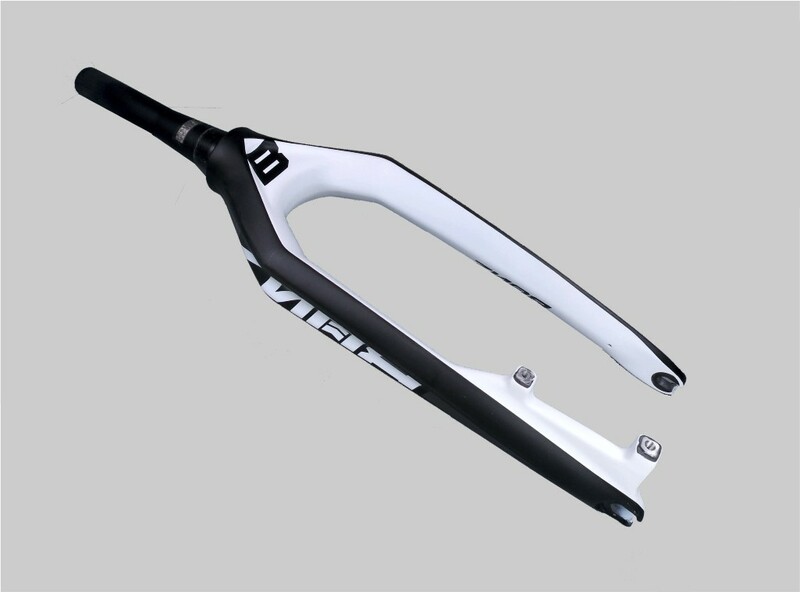 The unusual profile and the use of high modulus carbon guarantees highest stiffness and stability. 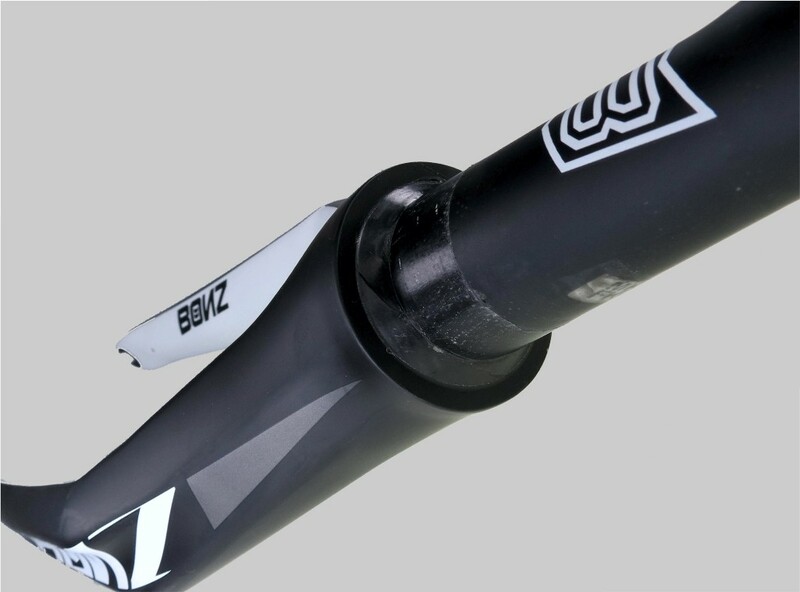 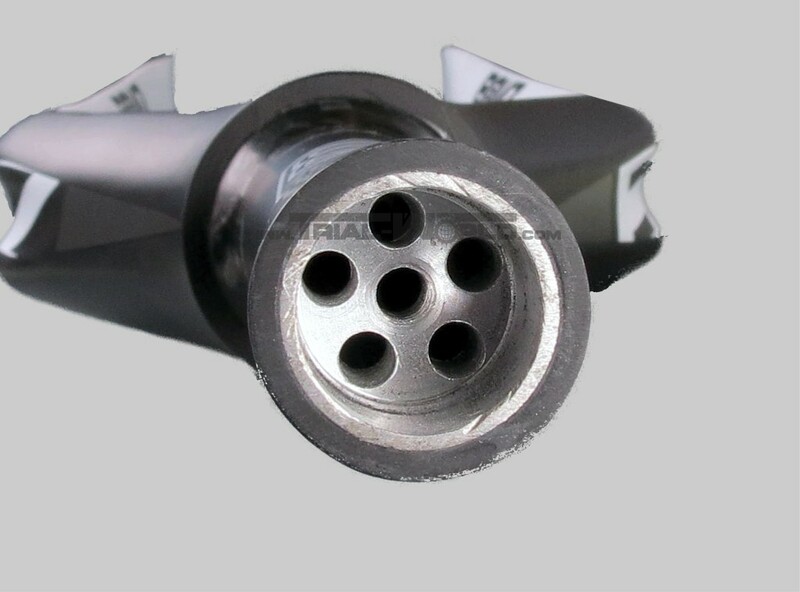 The tapered headtube is180mm long and is provided with an aluminium insert with an integrated starnut in the depth of 20mm. 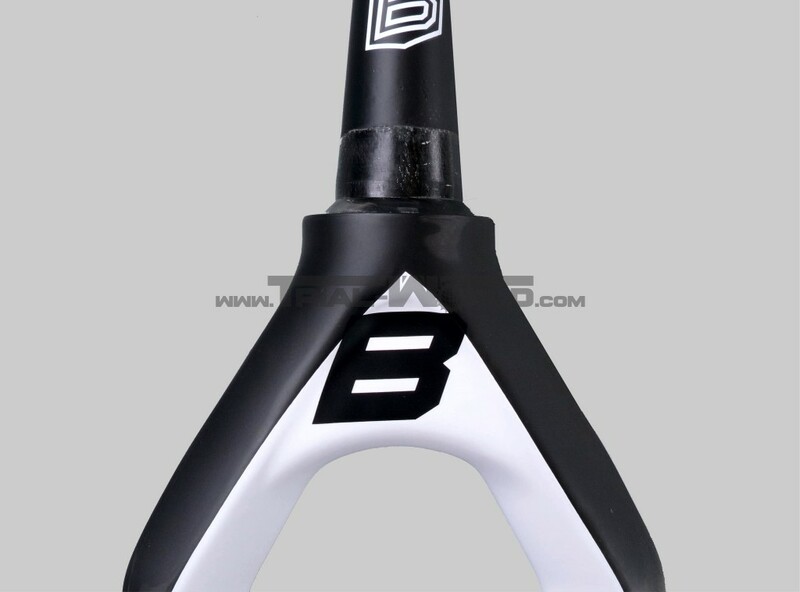 Furthermore there is no need for a 1,5“ bottom crown race, cause this fork already provides a 45° chamfer. 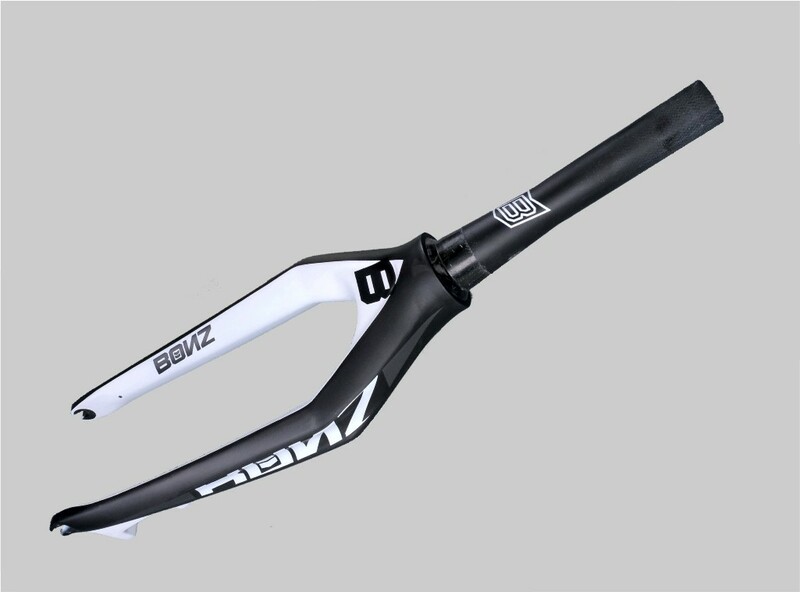 The fork is available with HS33 or PM Disc mounts.